Glock-ing for Bears! 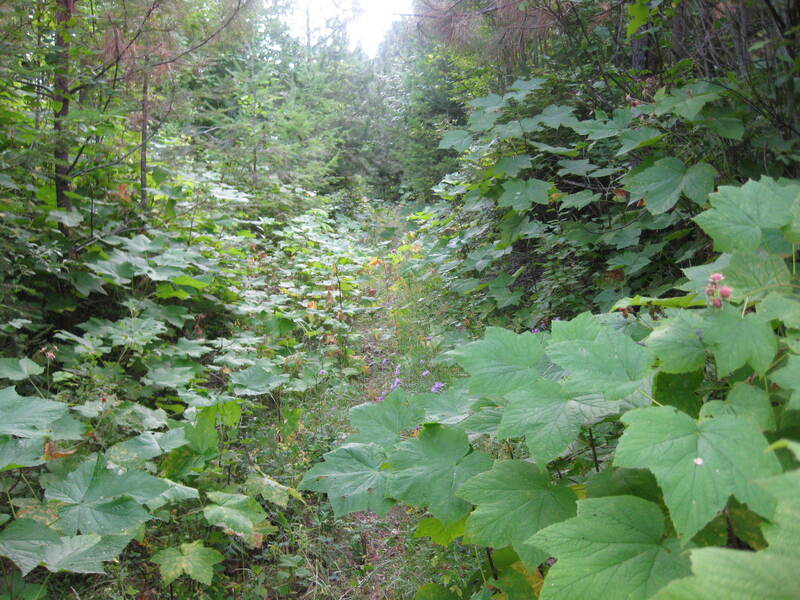 My first season chasing Black Bear with my Glock 20. Bear Medicine: My film dipped, Lone Wolf built, Glock 20SF 10MM. If you are planning on doing a similar build up using components from Lone Wolf Distributors; be sure to use promo code:” backtrail” when you order! Just trying to hook my Back Trail fans up! As every year comes and goes, a lot of changes may take place….but one thing stays the same: I dream about the month of September all year long. Usually this time of year, all I can think about is chasing rutting, Bull Elk with my bow and everything else that goes along with the preparation. But this year is slightly different.A couple of months ago, I was at work discussing some marketing campaigns and strategies with our Marketing guy, Zack. I work for Lone Wolf Distributors; which most would consider the “King of the hill” when it comes to anything having to do with the Glock pistol. It’s been in my mind for a while now, to help push us into the Hunting/outdoor market, instead of just catering to the competition/Law Enforcement venue that we’re known for. 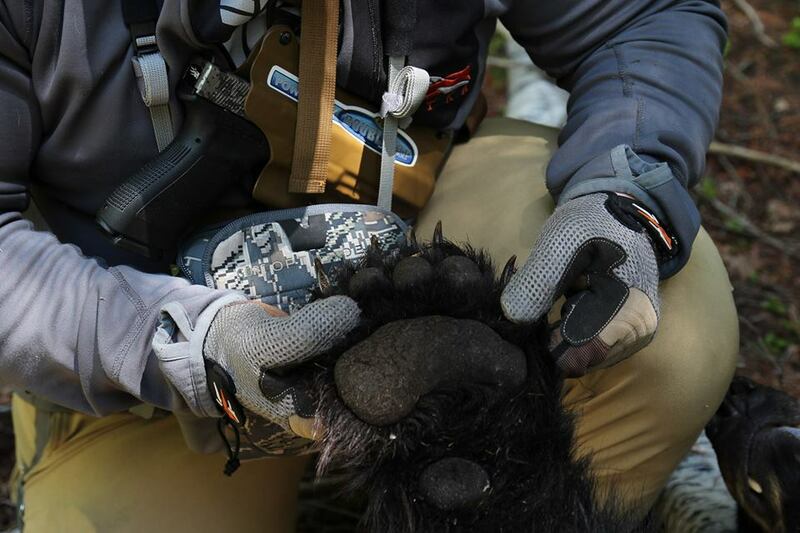 After all, according to the CEO of the company, JR Shepard…that was the whole reason Lone Wolf was founded: to fuel his passion for hunting and fishing! So why not? One model of Glock in particular; the Glock 20, chambered in 10MM has long been regarded in some circles as an ample hunting sidearm. I’ve been a long fan of the 10MM cartridge and know good and well what it is capable of. I’m never found very far away from my G20 and Lone Wolf offers quite a few performance upgrades that turn it into a hunting beast. So…an idea was hatched. 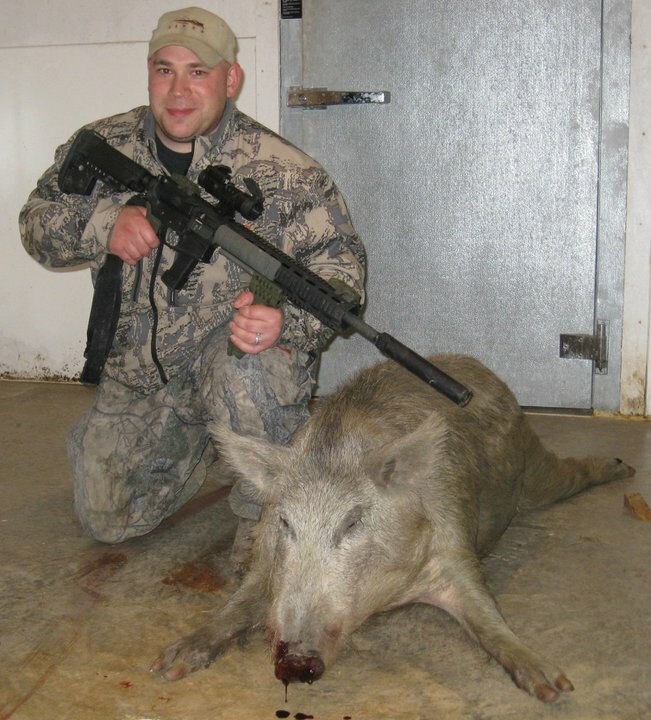 I had already made claim to be the one with the first known kill, using our 9G AR carbine (now called the “G9” http://www.lonewolfdist.com/Products.aspx?CAT=3682) last year while in Texas, when I took a very nice hawg from the ground. But that was not enough! I wanted to whack something with my Glock 20 and I wanted to very badly. So, what could I set out after, hunting with my Glock?….The first thing that came to mind, was a picture a customer of mine sent me last year. 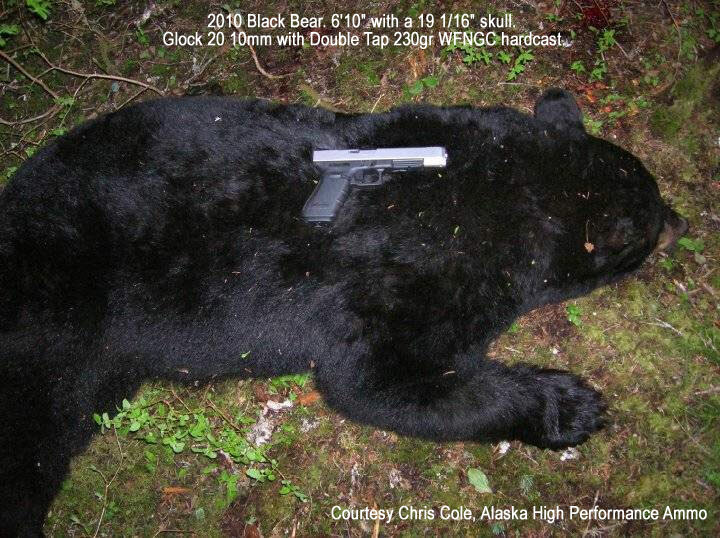 It was of a huge Alaskan Black Bear that he had leveled with his Glock 20, which (of course) had been pimped with our long slide and 6″ barrel. Plenty of bear medicine! I always have a bear tag in my pocket; however I’ve never just set out after bear as a species. Bear have always been a secondary to the Elk and Deer I love to chase during the archery seasons. 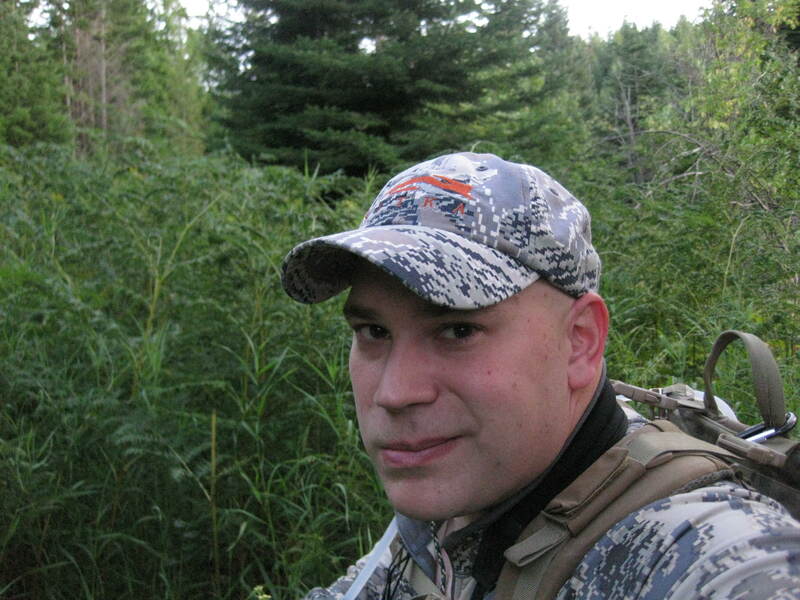 I gave up rifle hunting almost 10 years ago and it was hard to leave my bows at home; but I knew what I had to do. This is my last year hunting as a WA resident; but luckily the unit only minutes from home, opened to bear just a couple of weeks ago. I knew going into the month of August, that I’d have only a couple of weeks to dedicate to bear hunting, before the madness of September set in. Since then, I’ve already been out a few times; but so far not so much as a decent look at a bear. 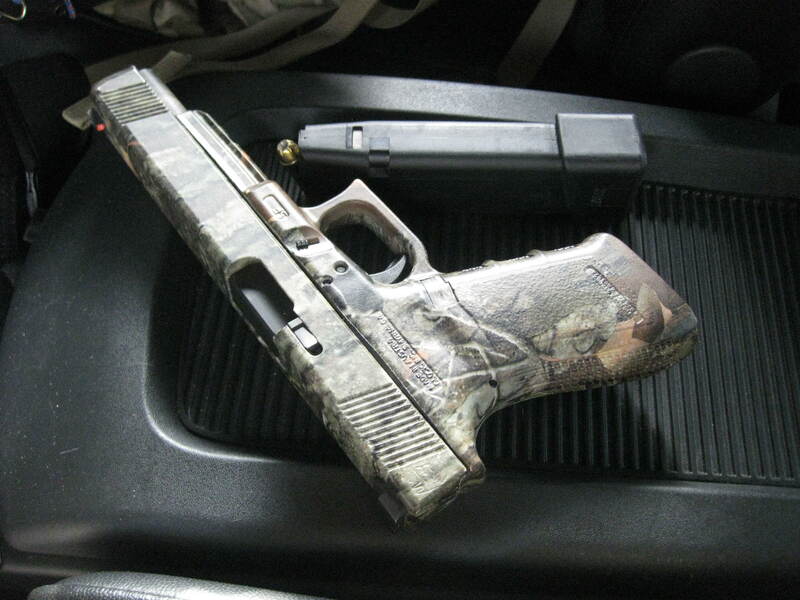 *Make sure to read “Glocking For Bears: part II“…I finally am able to put my Glock 20 to the test.